As a trusted manufacturer of thousands of widely cited and thoroughly validated ELISA kits and antibodies, we understand quality means delivering sensitivity, specificity, and consistency. Over 300 immunoassays and 3000 antibodies enable sensitive & specific detection of protein and small molecule biomarkers of oxidative stress. 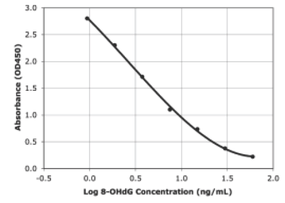 Our Stressgen® assay kits and reagents are some of the most widely cited products for quantification of critical stress-regulating metabolic enzymes and stress-responsive pathways. Sensitive ELISA kit enabling detection of 12(S)-HETE in culture supernatants and plasma from any species. Highly sensititive ELISA, meausring 8-iso-Prostaglandin F2α in plasma, serum and tissue. Ultra-sensitive Melatonin ELISA kit enabling detection of Melatonin in saliva, serum, plasma, and fruit homogenates in just 2 hours. High senitivity ELISA for quantitative determination of carbonylated protein levels in plasma, other body fluids, cell and tissue extracts.